Rain gutters can be useful we all know that– lots of indoor and outdoor DIY ideas flooding the internet. 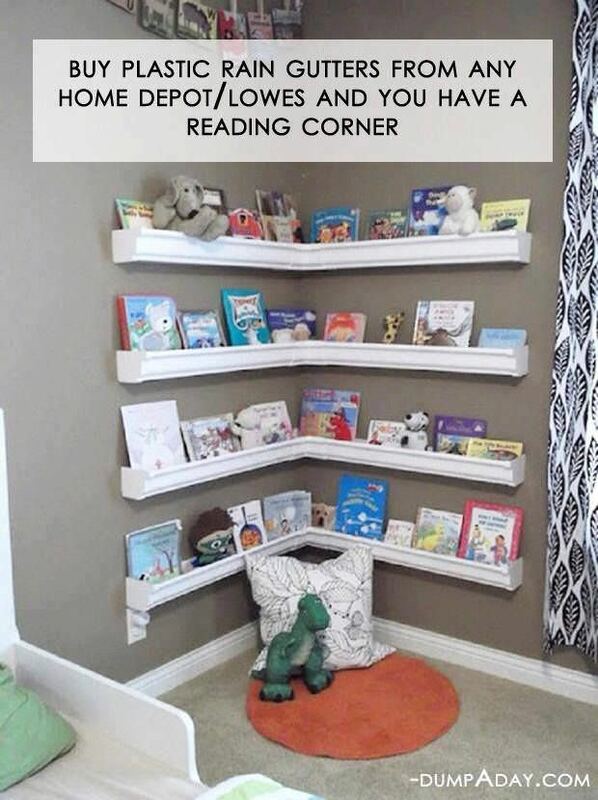 But do you know you can even make bookshelves out of them? The installation process pretty much consists of sawing your gutters to your desired amount (they just it in half to make two shelves), finding studs on the section of the wall you want to mount them to, using a leveler to make sure they come out straight and screwing them in! That’s it! Visit Restoration Beauty.com to read the full post.